Gas Cylinders - (Google Photo). 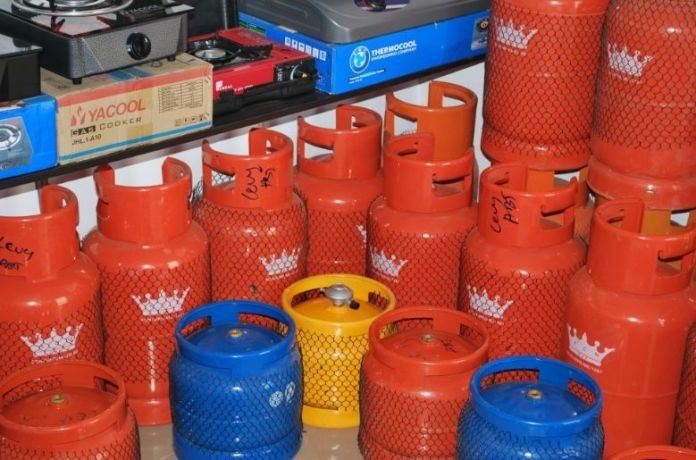 The Department of Petroleum Resources is collaborating with the Nigeria Security and Civil Defence Corps to rid the Federal Capital Territory, Abuja of illegal gas retailers. If you are a gas retailer in Abuja, you should be on your guard. In fact, you should consider closing shop if your retail outlet is not licenced. The Department of Petroleum Resources says it is collaborating with the Nigeria Security and Civil Defence Corps to rid the FCT of people violating government regulations. The new boss of DPR in Abuja, Abba Misau, said this plan on Wednesday in Abuja when he paid a visit to the boss of NSCDC in Abuja, Patrick Ukpan. ‎The DPR boss, who decried the proliferation of what he called road side gas (i.e. Liquefied Petroleum Gas) by retailers in the FCT, said the measure is to ensure residents' safety. ‎He added that the DPR would intensify its sensitisation campaign to the gas retailers on the need to obtain the necessary license for their trade. Misau‎ said that apart from approval given to some filling stations, gas dealers could also apply for license to operate small refilling plants with required DPR safety standards. “For the gas retailers with designated address, we have been having meetings with them on the need to have the necessary license. “For all those road side dealers, their activities remain illegal and we will soon swoop on them because we need to ensure sanity and protection of lives and property,” he said.